A scleral buckle is a tried and true surgery that has been used to repair retinal detachments for decades. A scleral buckle is a surgical procedure used to repair a retinal detachment by supporting the retina tears from the outside of the eye. A scleral buckle is a piece of silicone semi-hard plastic that the retina surgeon places around the outside of the eye like a belt. It is secured to the sclera or white part of the eye. It will be behind your eyelids, so, for the most part, it cannot be seen. The scleral buckle usually remains in place permanently. In addition to the scleral buckle, cryopexy (freezing) or laser is applied to the retinal tear to seal it closed. This is a critical step in repairing the retinal detachment. The combination of the scleral buckle (support from outside of the eye) and cryopexy or laser (treating inside of the eye) together work to repair the retinal detachment. Furthermore, to help drain the fluid under the retinal detachment, a gas bubble may be injected into the eye or subretinal fluid may be drained from outside of the eye. All of these steps together help seal the retina to its proper position against the inside back wall of the eye. Why is Scleral Buckling Performed? The most common causes of retinal detachments are the formation of rhegmas or full-thickness tears in the retina. Rhegmatogenous detachments account for 90% of detachments, where using a scleral buckle may help treat the detachment. How Do You Prepare for Scleral Buckle Surgery? Before scleral buckle surgery, patients will need to make arrangements for a ride after the procedure. Your doctor will notify you of any medications you will need to stop taking prior to surgery. Before surgery, your eye doctor may also advise limiting solids and liquids before the procedure. What Can You Expect During a Scleral Buckling Procedure? Patients usually receive anesthesia before surgery and fall asleep. If you’re remaining awake during your surgery, your doctor will apply medicine to numb your eye. You will also receive eye drops to dilate your eyes. Dilation widens your pupil, allowing your doctor to see the back of your eye. Once the conjunctiva (or clear, skin of the eye) is peeled back to expose the white part of the eye (sclera) the buckle is then secured to the white of the eye, behind the eyelids and under the eye muscles. Once in place, it will not move. Buckling is designed to support the retina by pushing the sclera toward the detached retina, which can reattach your retina and close retina tears. Laser photocoagulation. In this procedure, your doctor uses a laser beam to burn the area surrounding a retinal tear or detachment. This creates scar tissue, which helps seal the retina tear and stops fluid from getting under the retina and causing it to detach. Drainage of subretinal fluid. This can be done either from inside the eye (if vitrectomy is done at the same time as the scleral buckle) or from outside of the eye, through a microscopic hole in the sclera (if a scleral buckle alone is done). After surgery, your surgeon applies antibiotic eye drops to decrease risk of infection, more numbing medication to decrease postoperative pain and a patch to protect the eye. The patch should remain in place until you see your surgeon the following day. What is the Follow-up and Recovery Like? Recovery time is anywhere from two to four weeks. Your doctor will provide aftercare instructions. This includes information on when you can resume taking prescription medications, as well as instructions for medication prescribed to treat post-surgery pain. Typically, you’ll be able to go home the day of surgery, but you’ll need someone to drive you. Some pain is expected within the first few hours or days following the procedure. Your pain level may decrease within a few days, but you’ll continue to have redness, tenderness, and swelling for a few weeks after surgery. It takes about a month for the swelling and redness to go down all the way and for the eye to look almost back to normal. You will need to wear an eye patch for the first day after surgery and apply antibiotic eye drops to prevent infection as well as anti-inflammatory drops. You will apply eye drops for up to six weeks after surgery. Your surgeon may instruct you to place ice or cold pack over the eye for 10 to 20 minutes at a time to reduce swelling within the first few days of recovery. Be sure to cover the ice pack with a towel before applying to prevent ice burn on your skin. Within the first two weeks, be sure to allow your eye to heal before engaging in strenuous activity. Within this time try to avoid exercise, heavy lifting, and cleaning. Your ophthalmologist may also restrict the amount of reading to reduce the amount of eye movement. Some people can return to work one to two weeks after scleral buckling. This depends on how you feel and the type of work you do. You should stay at home longer if your job involves heavy lifting or a lot of computer work. What are the Potential risks of Scleral Buckling? Are there related procedures to Scleral Buckling? Brandon B. Johnson, MD. Wills Resident Case Studies. Review of Ophthalmology. 40299. Link to Article. Justis P Ehler, Chirag P Shah, Gregory L Fenton, Eliza N Hoskins. 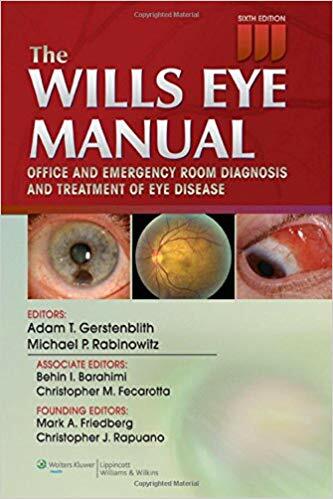 The Wills Eye Manual: Office and Emergency Room Diagnosis and Treatment of Eye Disease. Wills Eye Institute. 2012 May; (6):e293-358 . Link to Article. Joseph I. Maguire, MD; Ann P. Murchison, MD; and Edward A. Jaeger, MD. 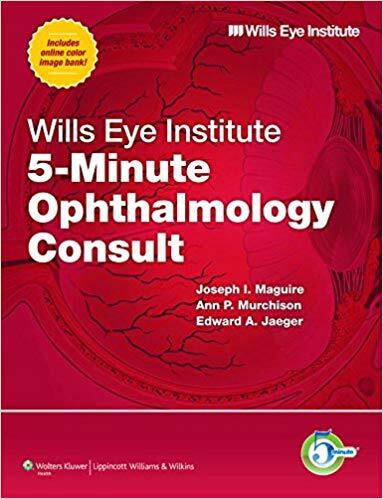 Wills Eye Institute 5-Minute Ophthalmology Consult. Wills Eye Institute. 2013 Sept.; 156(3). Link to Article.